If I were leaving planet earth tomorrow and had to choose one herb to travel with me, it would be yarrow. I have never known a stronger ally. Perhaps yarrow’s highest virtue is its ability establish energetic boundaries. 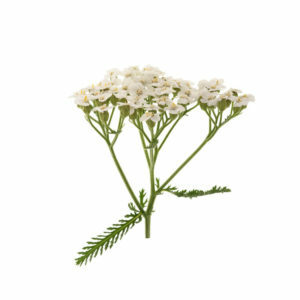 As a highly empathetic person, yarrow has helped me distinguish between nourishing and depleting situations. Yarrow also helps establish physical boundaries. For example, it is able to stop bleeding like a charm. It also protects the immune system, which is our body’s boundary system. For a deeper dive into the folklore and medicinal properties of this magical herb, please enjoy this herbal monograph.